James was born at Romsey, Victoria on 06.07.1917 but he lived at East Melbourne at the time of his enlistment at Caulfield Racecourse on 10.05.1940. 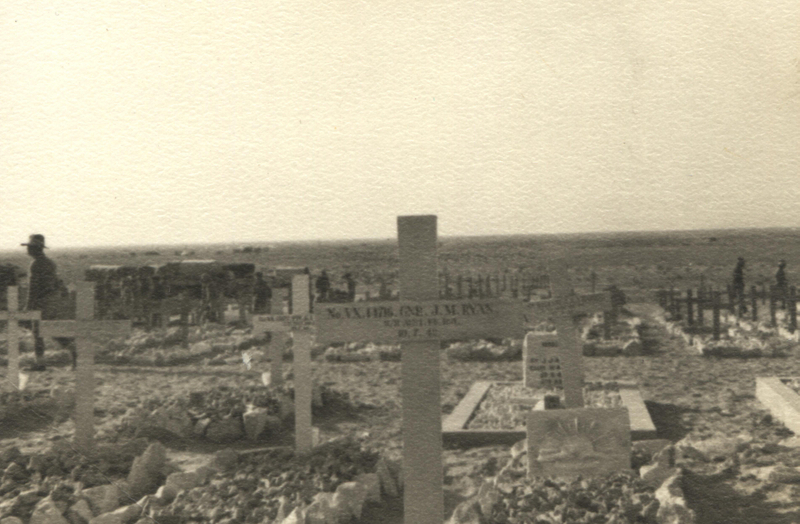 Thought to be known as “Bluey”, Gunner Ryan died of wounds on 10.07.1942 during the first battle at El Alamein. Grave of James Ryan. The enscription reads "No. VX.14716. GNR. J.M. RYAN 2/8 __?__ 10.7.42". 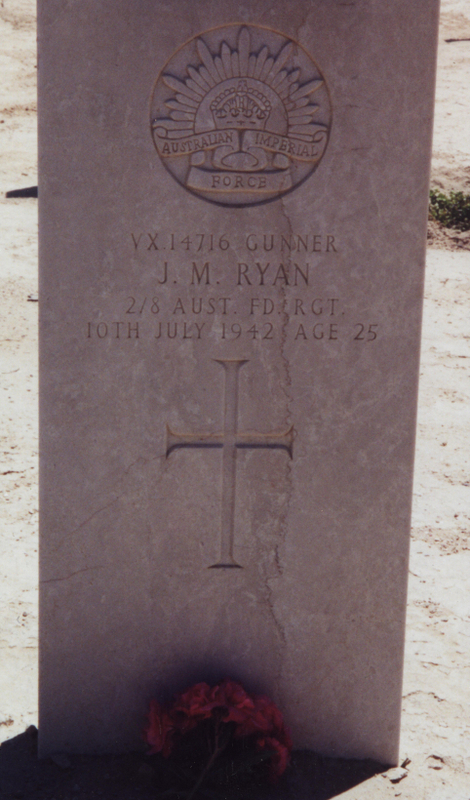 Headstone of James Ryan. Photo taken by Geoff Bydder.